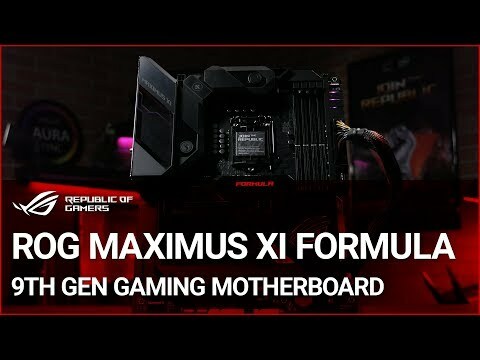 ROG Maximus XI Formula ATX MotherboardROG Maximus XI Formula exhibits the sleek, refined and functional design that has become iconic in the Maximus motherboard series. With its distinctive integrated CrossChill EK 2” LiveDash OLED with more custom features III cooling block, intelligent overclocking software and a stunning polished-mirror finish, the latest-generation Formula is all set to make your showcase rig shine. Building on over a decade of ROG engineering and refinement, Formula is the motherboard that lets you push the boundaries while keeping the thermals in check and under careful control. 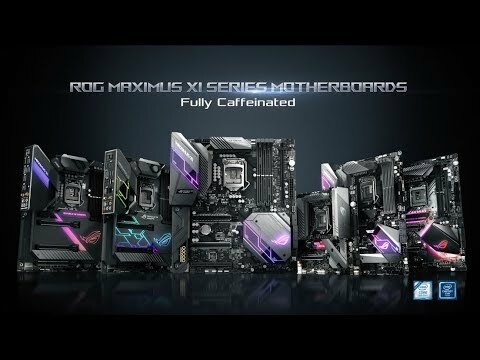 EXPERTLY TOOLED TOTALLY COOLEDROG Maximus XI Formula features the most comprehensive cooling controls ever, configurable via Fan Xpert 4 or the UEFI BIOS. CrossChill EK III lets you cool with air and water. The redesigned cooling channels provide wider copper, delivering up to 37.2°C-lower MOSFET temperatures on water, and the standard G1/4" threaded fittings mean CrossChill EK III easily fits existing setups — so you can enjoy efficient, quiet cooling with the minimum effort. Overclocking Intelligence Take care of complex tuning with just one click. ASUS 5-Way Optimization is a system-wide tuning utility that overclocks the processor and tunes fan speeds to ensure the best balance between cooling and acoustics. The automated CPU tuning feature of 5-Way Optimization leverages the same onboard intelligence as AI Overclocking,but goes further by running a Prime95 based stress test to deliver a result that's well-tuned from the get-go. ASUS LANGuard Designed for the demanding requirements of power users and content creators who push the envelope, onboard 5Gbps Ethernet plugs you into a new era of home networking. With up to 5X the bandwidth of standard gigabit Ethernet, you'll enjoy streaming uncompressed 4K UHD videos and backups and file transfers that are faster than ever before. And there's also support for intermediate 2.5Gbps connectivity, allowing you to step up to faster networks for maximum flexibility. Choose the bandwidth that meets your needs and enjoy ultra-low latency at any speed. Display your own custom logo Maximus XI Formula is equipped with LiveDash, a built-in 2" OLED panel that displays useful information and customizable graphics. During the power-on, self-test (POST) phase, LiveDash shows key progress stats in simple language and via traditional POST codes. Then, during normal operation, the panel shows a choice of CPU frequency, device temperatures, fan speeds or information from the Water Cooling Zone. You're even able to customize the default LiveDash GIF, so that it'll display your own image or animation. Do I need a water cooling loop in my PC or can i essentially just plug in and play? I don't have any water cooling in my system. I just have the hydro 115i in my system. Will i need to top up any reservoirs or install a cooling system separaraly or am i good with just my 115i? What is the material of the water block included on the board for the chipset? 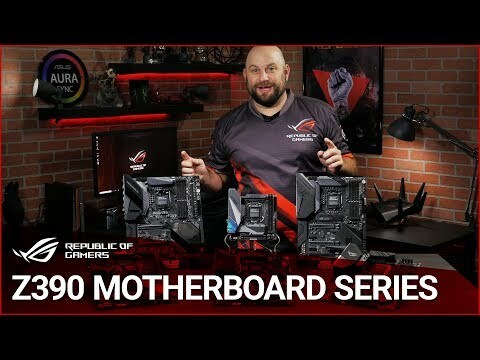 If you go to the ASUS website and click on the ROG icon in the top bar it mentions the Formula XI and talks about the EK block being made of copper. I can&rsquo;t post a link as the answer gets rejected if I do..